Jeff brings his expertise to Rocky Point and looks forward to even greater success with our patrons and youngsters. 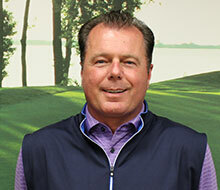 Jeff Bell, Golf Operations Manager at Rocky Point Golf Course for over 13 years, started his teaching career in 1995. Prior to coming on board at Greystone Golf Course in 2002, Jeff coordinated many successful junior programs at both Harford Community College and Swan Creek Golf & Country Club. In his current role, Jeff has been instrumental in creating an experience that has made Rocky Point one of the best values in the area. Jeff is currently completing the requirements for his PGA membership. His love of teaching golf is a benefit to his students as he feels that helping golfers improve is the best part of his job. His passion for the game and the ability to help people shows with each lesson his gives.